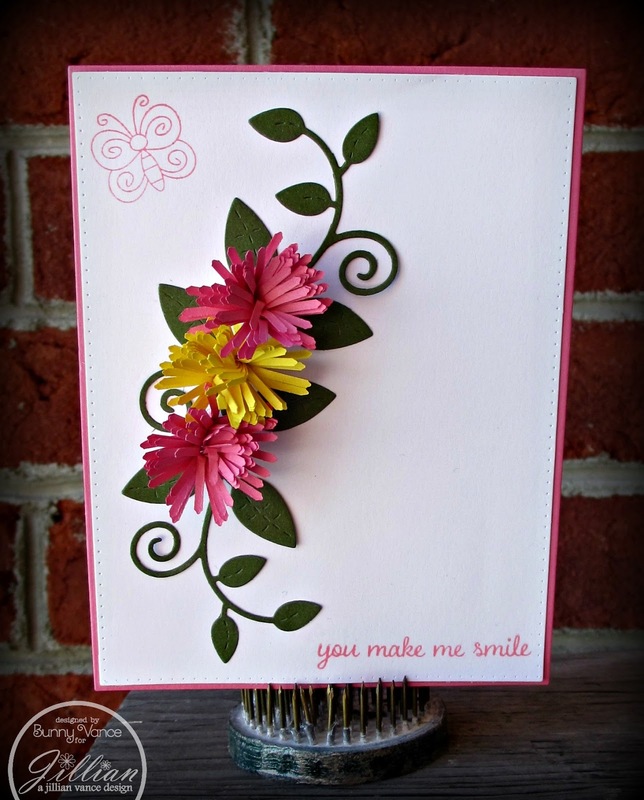 A Jillian Vance Design: Fringe Flower Card to make you smile! 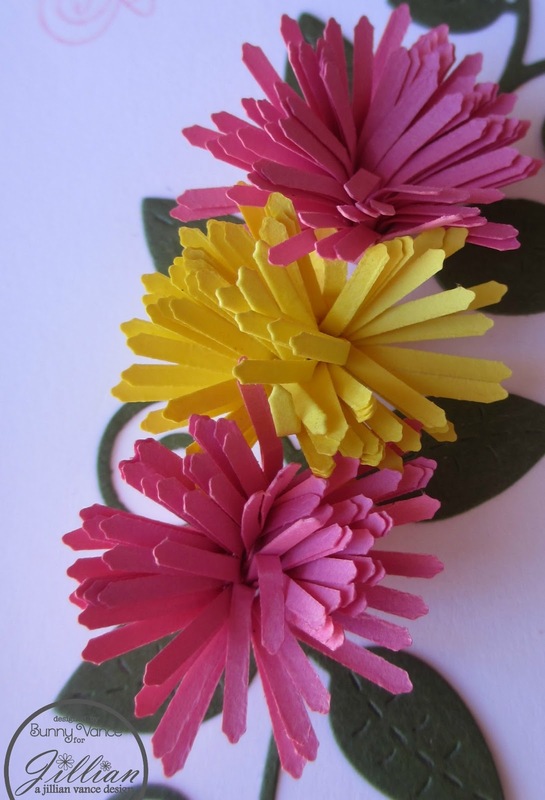 Fringe Flower Card to make you smile! I am ready for winter to be OVER! So I decided to add a little Spring to the blog today! Today I am showing the Stitched Fringe Border Die rolled up and used as a flower! Easy Peasy: just cut, roll, glue the end and fluff! Reminds me of a garden mum! And my favorite Swirly Vine die is the perfect compliment to that flower. I just received our Ranger Ink order with the new Dye inks! And this one is soooo pretty! The sentiment and butterfly are from the new Picking Daisies Set from Lisa Lara Originals. The Stitched Fringe Border Die can also be used as grass or a nice fringe border on a card or page!